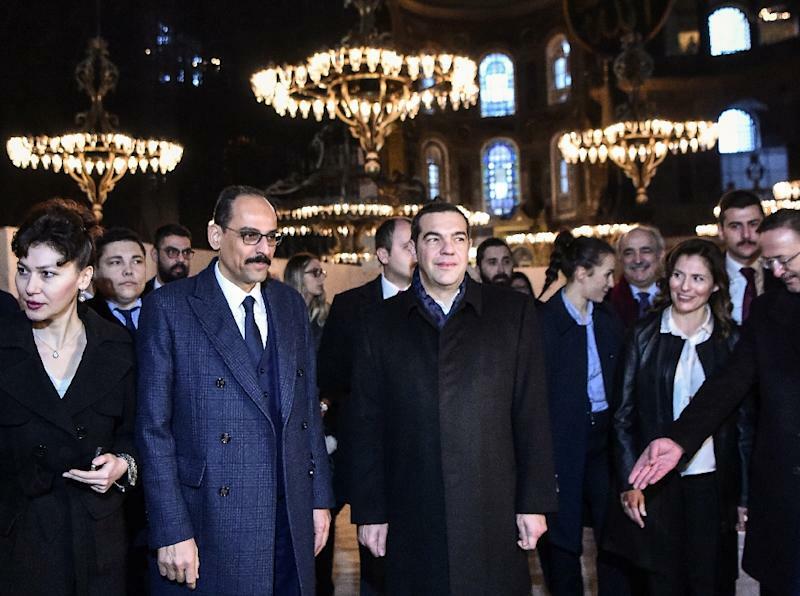 Istanbul (AFP) - Greek Prime Minister Alexis Tsipras on Wednesday visited the disputed landmarks of Hagia Sophia and a now-closed seminary in Turkey, in a sign of detente in the neighbouring countries' strained ties. 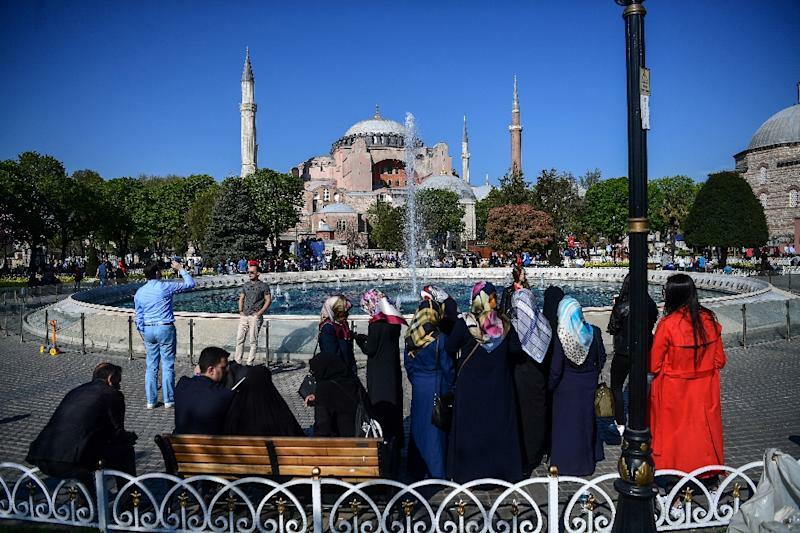 Istanbul's Hagia Sophia, a former church and mosque that is now a museum, often sparks tensions between Christians and Muslims over Islamic activities held there including the reading of verses from the Koran or collective prayers. Its secular status allows believers of all faiths to meditate, reflect or simply enjoy its astonishing architecture of what is one of the most emblematic edifices of human civilisation. 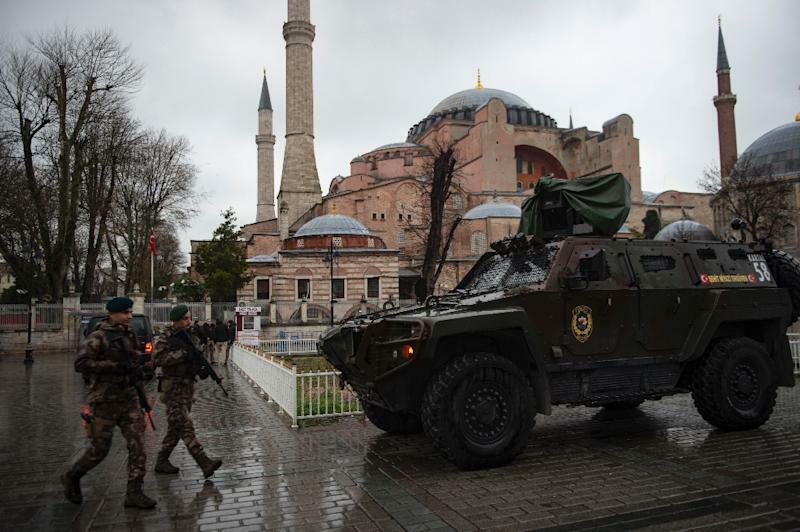 But calls for it to serve again as a mosque have caused anger among Christians and raised tensions between historic foes and uneasy NATO allies Turkey and Greece. Tspiras' symbolic visit to the Hagia Sophia came on the second day of his first trip to Turkey in four years. Police tightened security measures around the museum. Almost immediately after the conquest of Constantinople by the Muslim Ottomans in 1453, it was converted into a mosque before becoming a secular museum in a key reform of the new post-Ottoman Turkish authorities under Mustafa Kemal Ataturk in the 1930s. Greece has for centuries had a testy relationship with Turkey, with rows ranging from Aegean sea issues and the Cyprus problem to minorities' rights, the migrant crisis and the flight of Turkish military soldiers after a 2016 coup attempt. Tsipras and Erdogan on Tuesday agreed to resolve disputes between their two countries through dialogue, with the Turkish president saying a "politician's job is not to win enemies but friends". The Greek premier later attended a religious service with Orthodox Patriarch Bartholomew of Constaninople at the Greek Orthodox Halki seminary, located on Heybeli island off Istanbul. After lighting a candle, he attended the service by the patriarch's side but did not pray, another AFP journalist reported. "Next time I come I hope we reopen the school with Erdogan," Tsipras said. "The minorities in Greece and Turkey are no reason for conflict but are here to build bridges," he added. "We pray that the momentous and significant day will arrive soon when this seminary that cultivates our theological education will once again open its doors," Bartholomew said. Turkey, a Muslim-majority country, has in recent years returned the land seized from Halki in 1943 back to the seminary but its reopening is not planned despite international pressure. Erdogan has in the past said the reopening of the seminary depended on reciprocal steps from Greece to enhance the rights of the Turkish minority.